The High School Principal identifies the teachers interested in teaching dual enrollment courses. The High School Principal contacts the Director of Advanced Learning or CTE Coordinator, as appropriate. The Director of Advanced Learning creates a Board Action Item to have new courses reviewed by the Governing Board and added to the Intergovernmental Agreement. The teacher completes the online application to apply for certification. The teacher submits official transcripts for certification review. Once the course is approved, added to the Intergovernmental Agreement, and teacher certification is approved, the teacher may teach the course for Dual Credit. Each proposal to change, delete, or create a course is reviewed at each of the steps below. If it is approved, then it is forwarded to the next review body. The course approval process at TUSD aims to support creation of courses which improve student course offerings, strengthen Advanced Learning Experiences for students, and provides varied enrichment opportunities for students. All course proposals will be carefully reviewed for alignment to Arizona's College and Career Ready (AZCCR) Standards and TUSD's Curriculum Framework. Curriculum, Instruction & Professional Development invites you to review curriculum and instructional materials prior to adoption. We are currently invite your feedback on the several math textbooks and instructional materials and on our literacy adoption. 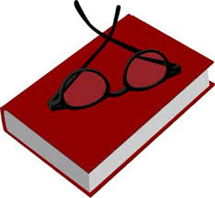 To find out where to review this material, see the following webpages. Complete the form on the page to share your feedback! At Tucson Unified, we recognize the value of multicultural education in supporting student success. Multicultural education acknowledges that the ways in which students learn and think are deeply influenced by their cultural identity and heritage and that to teach culturally diverse students effectively requires educational approaches that value and recognize their cultural backgrounds. In this way, multicultural education aims to improve the learning and success of all students, particularly students from cultural groups that have been historically underrepresented. In practice, educators modify or eliminate educational policies, programs, materials, lessons, and instructional practices that are either discriminatory toward or insufficiently inclusive of diverse cultural perspectives. Why do we need a Multicultural Curriculm? The district's Multicultural Framework for Student Academic Success is articulated through the district policies and initiatives. 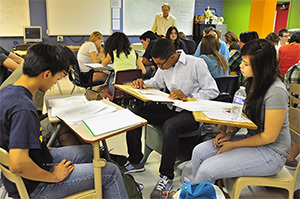 Tucson Unified recognizes the growing diversity of cultures in the district and commits itself to ensure that all aspects of policies, curricula, practices, programs, and services promote intercultural understanding and addresses the needs of students who have been historically marginalized or underrepresented. Tucson Unified's multicultural curriculum uses the Anti-Bias Framework, developed by the Southern Poverty Law Center, and culturally responsive teaching as a basis for effective anti-bias education at every grade level. The anti-bias anchor standards provide a set of age-appropriate learning outcomes divided into four domains: identity, diversity, justice and action. 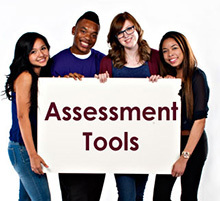 The curriculum, which is inclusive of the histories, cultures, and contributions of diverse groups of people, enriches learning for all students, preparing them to work toward structural equality and equity by engaging them in critical thinking around issues of racism, sexism, classism, linguicism, ageism, genderism, and more. Culture: the totality of ideas, beliefs, values, knowledge, language, and way of life of a group of people who share a certain historical background. Manifestations of culture include art, laws, institutions, and customs. Culturally Responsive Pedagogy: an educational approach that responds to student's social, emotional, and intellectual needs by incorporating student social and cultural assets into the curriculum. Diversity: the unique characteristics that all persons possess that distinguish them as individuals and that identify them as belonging to a group or groups. Intercultural Proficiency: the ability to successfully communicate, understand, and interact among persons with differing assumptions that exist because of ethnic and cultural orientations. 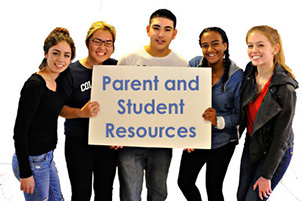 We invite parents and community members to view curriculum for all our subject areas! You can also access curriculum by grade through the dropdown in the navigation bar at the top of this website. Teachers, you can access Curriculum 5.0 from home! Just log into Office 365. Enter your district email on the first login screen, then, when prompted, enter your district login and password. Click the links below! Note: If you do not see the log-in window, minimize all open windows, including your browser window. The Clarity website can be accessed here, https://tusd.clarity.brightbytes.net/users/sign_in, by signing in with your credentials. 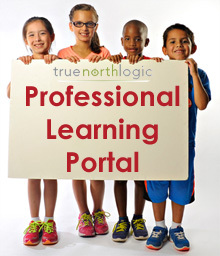 TrueNorthLogic, our professional learning portal, offers courses, PD, and more! We've got lots of resources to help you learn! Help with School City and more! Tucson Unified School District is committed to the academic achievement of every student enrolled at the District. The District provides equal access for all students to each of its educational opportunities, such as Advanced Learning Experiences, Dual Language Programs, and Exceptional/Special Education.